Avtrade has had a successful two days at the MRO Russia & CIS 2017 show held at the Moscow Trade Center and organised by ATO Events. Avtrade made the important decision to not exhibit at the show this year but still attend and walk the exhibition due to being very well known by representatives from technical and engineering management from local and international MRO providers, component suppliers, OEMs and media. The show was much better attended with over 70 exhibitors from 20 countries and over 800 high level delegates. Avtrade was able to hold many meetings with new and existing customers. 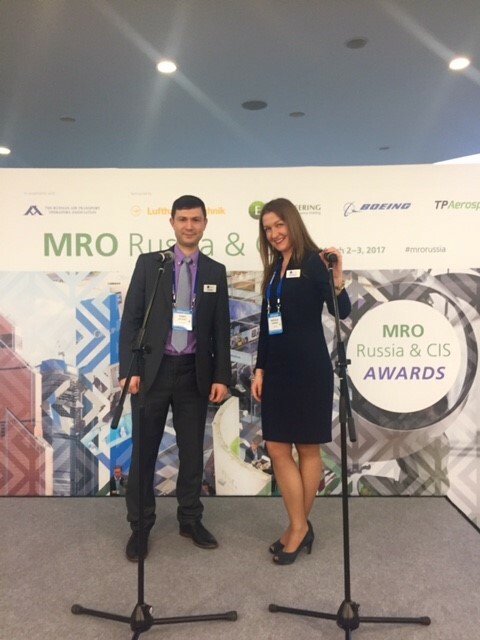 Now in its 12th year, MRO Russia & CIS has gained global recognition and is the only event of its kind and scale in the ex-USSR dedicated entirely to covering the burning issues of restructuring MRO services for the region’s air transport.